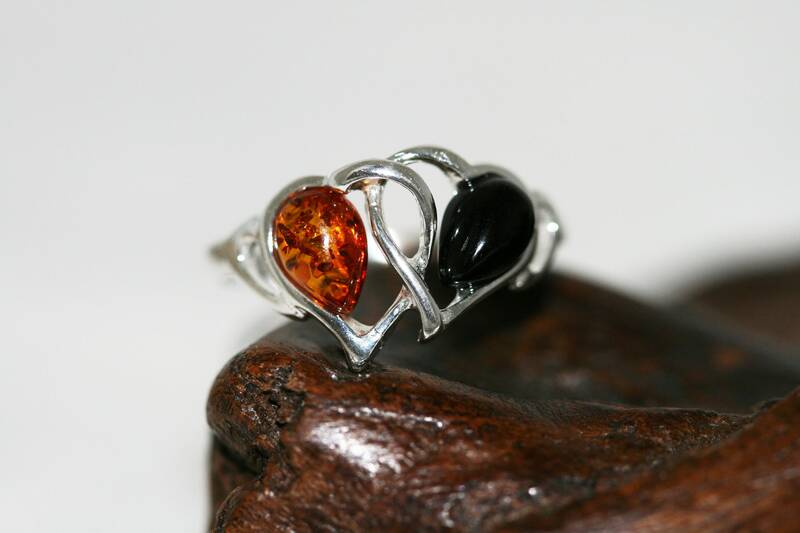 Two hearts Whitby Jet and Amber ring. 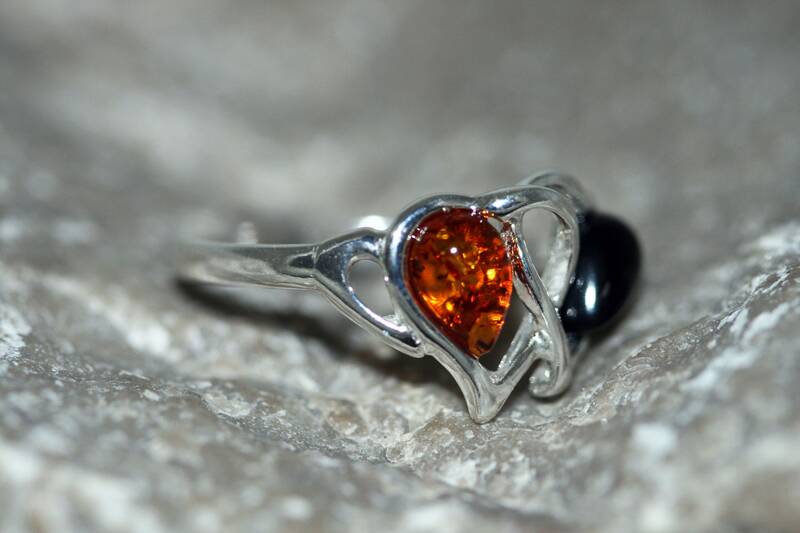 Sterling Silver Ring.British jewelllery Valentine's Day gift. 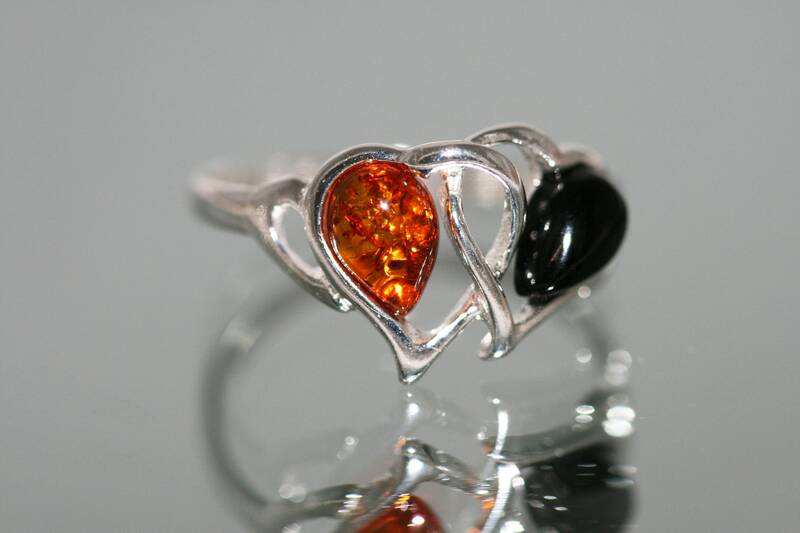 Contemporary ring. Genuine Whitby Jet. 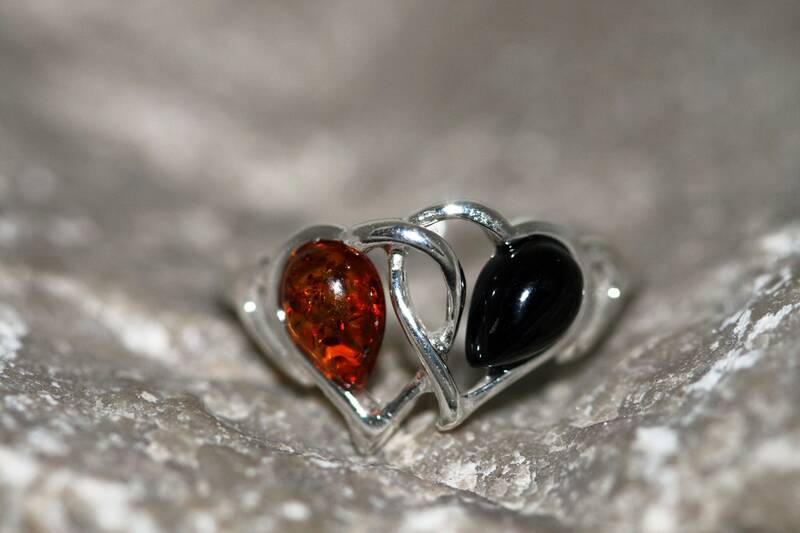 Splendid pieces of Whitby Jet and Amber fitted in a classic sterling silver setting. Size of the design: 17 mm long and 11 mm wide. 11/16 inch length and 7/16 inch width.